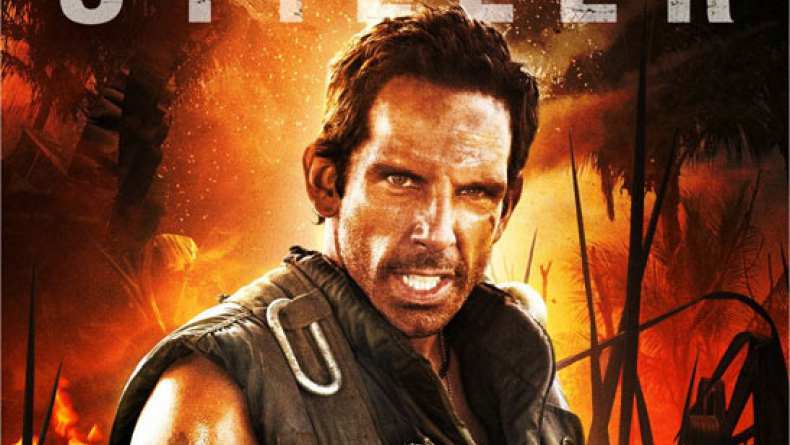 In the action-comedy Tropic Thunder, Ben Stiller plays pampered action superstar Tugg Speedman, who is cast in the biggest, most expensive war movie ever produced. He sets out to Southeast Asia with a "Who's Who" of celebrity co-stars. They include Kirk Lazarus (Robert Downey Jr.), an intense, three-time Oscar-winning actor; Jeff Portnoy (Jack Black), star of the popular gross-out comedy franchise "The Fatties"; multi-platinum hip-hop-star-turned-entrepreneur-turned-actor Alpa Chino (Brandon T. Jackson); and first-timer Kevin Sandusky (Jay Baruchel). Soon after the production begins the actors are thrown into a real-life situation and are forced to become the fighting unit they're portraying, in order to find a way out of the jungle in one piece.